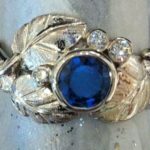 We are a US network of peer-reviewed professional designer jewelers. 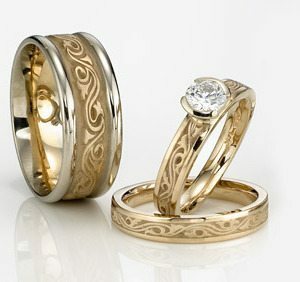 We create your symbols of marriage by making rings only for you. We guarantee perfect craftsmanship and the finest materials. 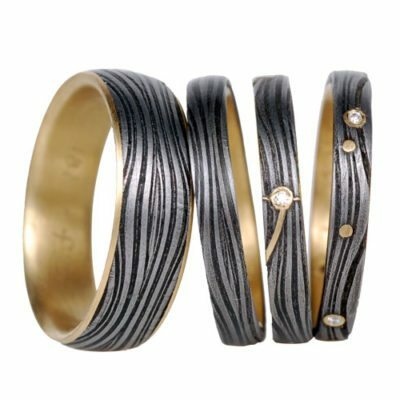 Question: With hundreds of ring designers, websites and shops out there, why Rings Unique? Answer: We know how to serve people. We have 20 years experience with a real storefront as well as web orders from all over the world. 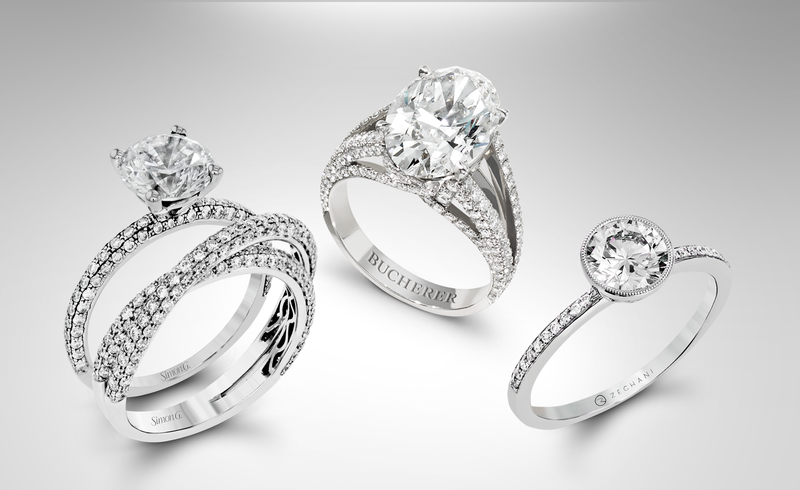 We strive to please each each customer with the rings of their dreams. Read some of our customer comments here. We believe a ring is more than a piece of jewelry; it is a representation of your journey together…the ups and downs, the joys and celebrations, the challenges faced and overcome. We want you to wear the ultimate symbol of your love that is exclusively yours. We welcome the thoughts and ideas of customers about their rings. We strive to meet your requests with straightforward answers and designs. We make rings by the ones, not by the thousands. Each one is custom made and designed. We believe that the love you share is unique and personal; therefore, the ring you put on each other’s finger should represent that. You can trust Rings Unique to make your symbol of enduring love. 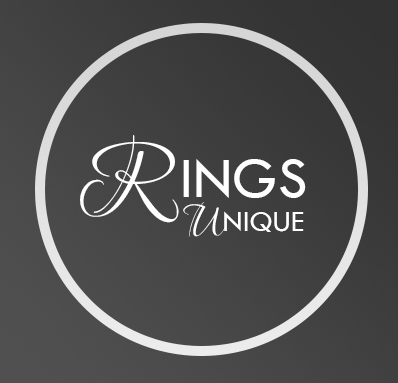 Rings Unique specializes in designing and creating unique Meteorite rings in unusual and creative styles. This 3-ring bridal set features a sapphire engagement ring with a double halo, a diamond wedding ring and a man’s wedding band, all lined in white gold. These are bold and unique with unique cosmic beauty and durability. Read more about the history of this Gibeon meteorite here. 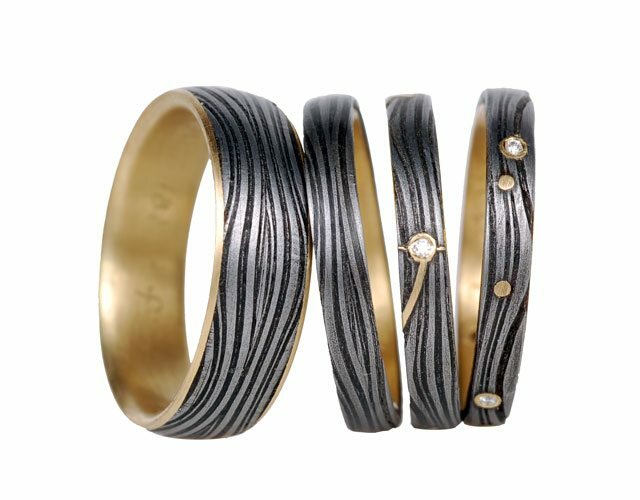 See more Meteorite rings here. The wedding ring you wear is a symbol of the love you have for each other. This is why a ring should be special and unique, created exclusively for you. Our promise is to craft a unique custom ring for you from start to finish. Your ring will be handmade by one of our independent peer-reviewed professional American artisans. We guarantee a perfect ring with the highest quality materials made to your specific wishes, a ring made for you only, a symbol of love that is uniquely yours. Please call or text with any questions.